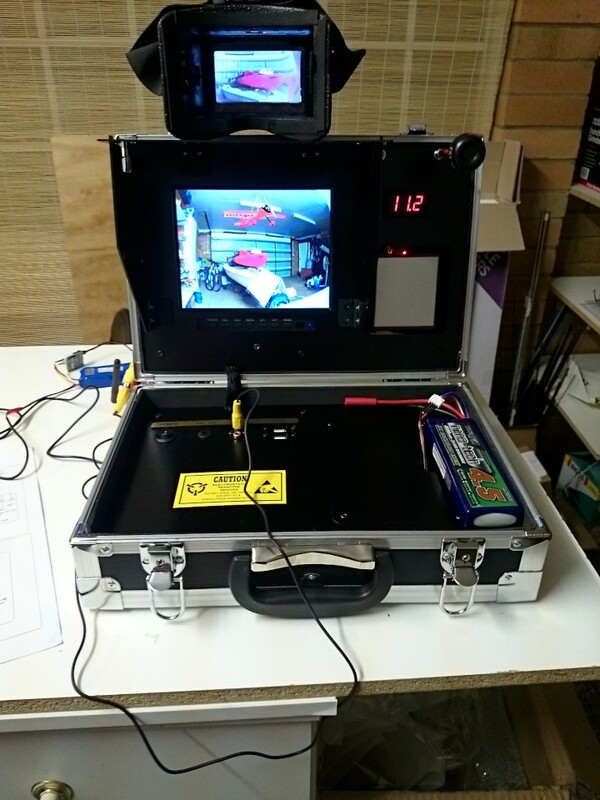 We bet that you have been looking for a reliable FPV ground station. And chances are you have come across the Quanum FPV Ground Station, which is one of the most popular options out there. As the title suggests, we are going to review it. But better than that, we are going to tell you why you should invest your money into it. No jokes, no lies. A completely unbiased review which will show the real value of this ground station. All you need to do is to come with us and read this review! First we should give a proper overview on what this product is. 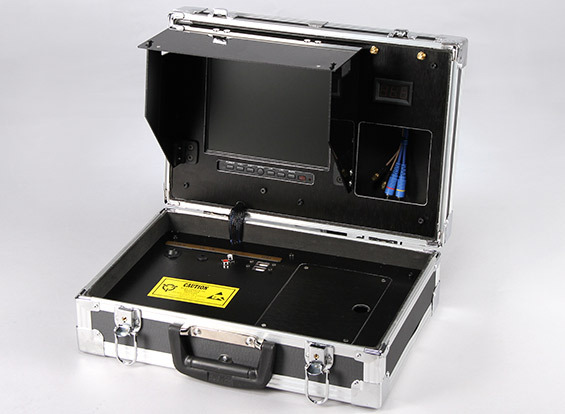 It’s a professional ground station, which comes with a handy 8-inch monitor, along with a helpful LCD voltage display. This professionally-designed system has been created to accept your FPV receiver automatically. The 8-inch monitor can be located on the top of the half of the case. And here you will also find a helpful and convenient built-in sunshield, so you can protect your ground station even in the bright and hard sun. And of course, we cannot forget to mention the large voltage meter which is tied into the power bus. Another important fact about this product is that all the wiring is installed, so you don’t have to do anything exceptional on your end. You can use goggles without problems with this ground monitor , because it comes equipped with RCAs, which are conveniently attached to the auxiliary output. All you need to do is to attach them to your receiver and that’s it, you will have it working in no time. Another thing we must mention is that you can install antennas on it, because the SMA extensions end on the top, so you can attach a good pair of antennas right there. And just to finish this general description, on the bottom of this product, you will find the main power switch, an auxiliary RCA output, and a pair of handy USB ports – you never know when you will need them. And just to end this, you should know that this ground station, unlike others which use NiCd or NiMH batteries, this one comes with a LIPo, which is well protected by a safe battery hatch, which also makes it a lot easier to swap it off when needed. If you are looking for an easy to power up most of your equipment, if not all, then this ground station is all you need to make it happen. It solves a crucial problem for the RC community, and we have to say that HobbyKing has done a great job with this product. It even comes with a low voltage alert and reserve polarity protection. All you need to give power to your equipment in a safe and efficient way. Another good thing about this ground station is that it’s dirt cheap, just a bit over $100 USD. If you are looking for an HQ low-cost ground station, then you will love this one. And for $100 you cannot complain about its performance, which is over average by the way. One of the problems with cheap FPV systems is that they deliver a horrible video quality. With the Quanum FPV by HobbyKing you will never experience such thing. You will always get your video delivered in top-notch quality. But if you want to use your tablet, then you will be happy to know that it comes equipped with a convenient table mounting frame. And another thing you will be happy to know, is that you can keep your tablet fully charged all the time, you just need to connect it to the USB port and the ground station will keep it fully charged and running! Another major problem in the RC world is the annoying multipath interference. In order to give this a solution, HobbyKing has released a helpful Aomway 5.8GHz 4 leaf polarized antenna set, which can be equipped to your ground station. It’s just an extra $14 USD – and it’s well worth it. It will increase the performance of your FPV system, because it helps you to get right of this multipath interference, and on top of that it delivers a better video quality and a better range. And if you want a recommendation on the receiver, then you should pick the Quanum Auto Scan. It offers 32, 5.8Ghz channels, and what makes it even more interesting is that it has a channel lock system, so you can keep your equipment protected at all times. This cost-effective DIY ground station is a great acquisition. With a reliable receiver, a handful of good antennas like the Aomway 5.8GHz 4 leaf polarized antenna set, you will make the most out of this product. So, our final verdict is that you should definitively buy it if you need an affordable yet high-performing ground station for your RC adventures!